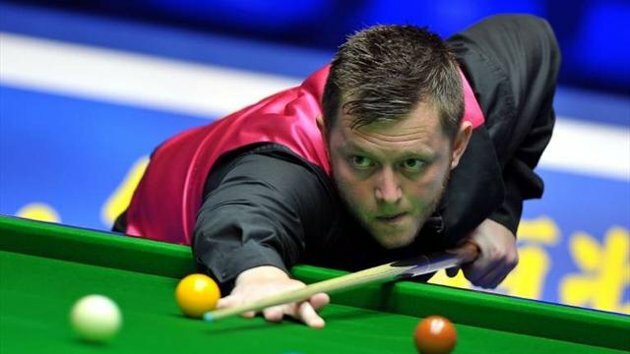 Mark Allen won a second straight Haikou World Open title with a 10-4 final win over Matthew Stevens on China’s Hainan Island. Allen displayed the form which saw him cruise past John Higgins in Saturday’s semi-final, taking a 4-0 lead to the mid-session interval. Stevens was able to pull two back to keep his hopes alive, but had to work hard to take the ninth and final frame of the session to avoid falling 7-2 behind in a race to 10. And Allen put his early advantage to good use in the second session, taking four out of five frames to clinch another ranking title in China. For all intents and purposes the opening frame was the Welshman’s to lose – and that was precisely what he did. Despite beginning with great long potting and acquiring a 42 break for a strong lead, one failed red from distance allowed Northern Irishman Allen in to steal with 48 before fluking the frame ball brown. Allen doubled his lead after taking control of a scrappy frame to finish with 52 up to the final brown, before Stevens yet again let a frame slip away by letting his opponent in after a 49 break which allowed ‘The Pistol’ to clear with 58 for 4-0 having completed the third in less than 10 minutes with a knock of 93. Stevens finally found his building groove after a 15-minute break, and runs to 49 and 67 earned him his first frame of the final before a well-taken 112 – his first ton of the tournament – made it 4-2. Allen was able to halt the comeback’s momentum by grinding his way to claiming frame seven, and his second Hainan Island century this year at an even 100 left ‘The Welsh Dragon’ desperately needing to finish the session with a winning frame to stand any realistic chance of reeling his opponent in. That he did in a tense ninth frame, but with the better form over the last 48 hours and a three-frame cushion, Allen remained in the driver’s seat and needed only half of the second session’s maximum possible frames to close out the win. Requiring only one of the last three colours to make it 6-4, Stevens could only watch in despair as Allen swept up all of them, though a smooth 100 from the Welshman prevented him from losing too much heart. Nonetheless, it would be his last frame of the final as Allen took in 55 for 8-4 before staving off another Stevens fight-back in frame 13 and casually tidying up for the 14th to secure a £85,000 winner’s cheque. Stevens takes home £35,000 as runner-up while Higgins received the cheque for highest tournament break.